Look at the Eiffel Towers tossed on this ivory background!Frank Sinatra wrote a song about Paris, and now you can make a quilt about Paris! Tres Graphique is an elegant collection of Parisian icons such as the Eiffel Tower and bicycles in lovely shades of black and white. 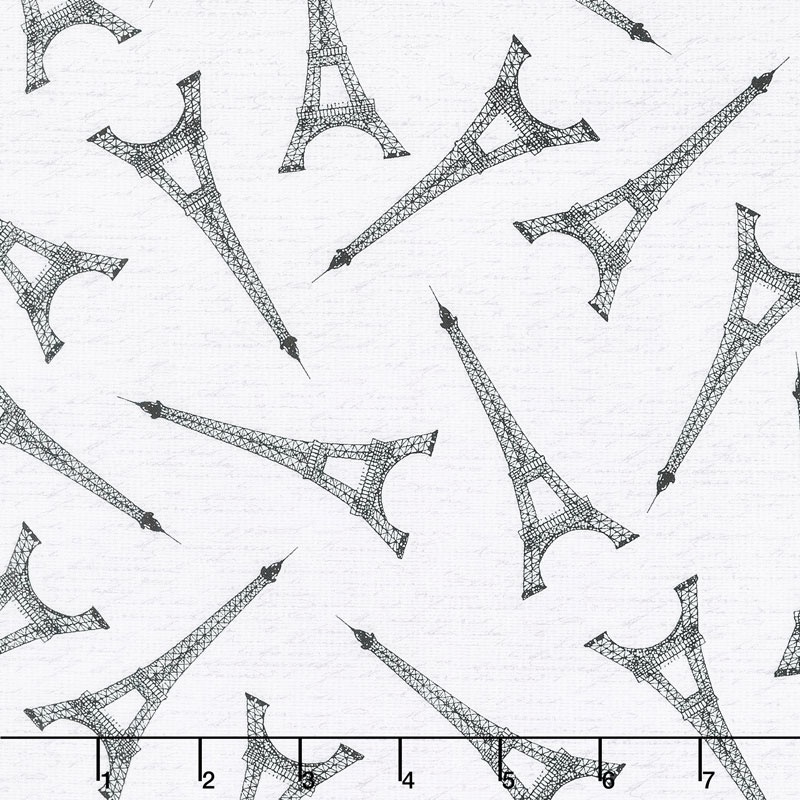 Your Paris quilt is going to be magnifique!